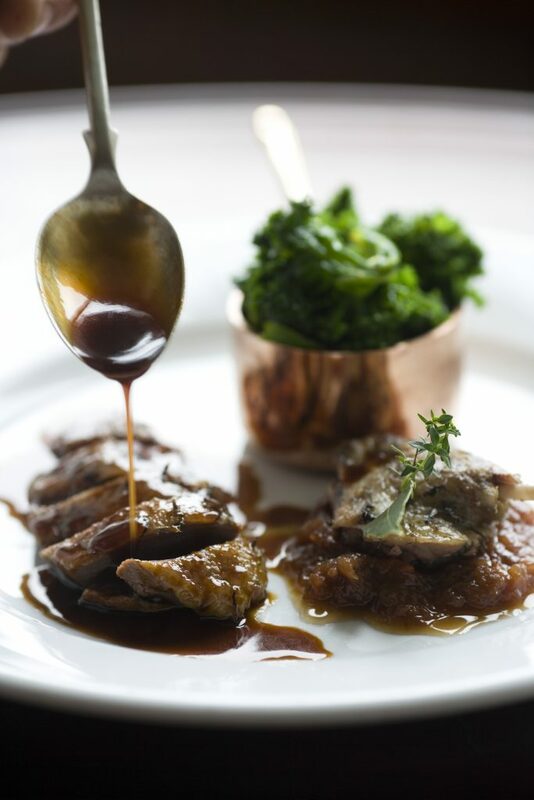 Wild duck are all lean and have delicious, rich flavours that taste very different to farmed duck. They are worth trying. The chutney is best made and left for at least one week to let the flavours develop as it takes one to two hours to cook. It’s really good all through the winter with terrines, pies and all game birds. Make the chutney first. Place the vinegar, sugar, spices, onion and apple into a large pan and bring to the boil. Add all the other ingredients and slowly cook for one to two hours until the chutney has thickened. Next, season and seal the ducks in a hot pan then roast for 25 minutes in a hot oven for a medium rare finish 220C/430F/Gas 8. Remove from the oven and leave to rest somewhere warm. Keep the duck fat for roast potatoes to serve with the duck. Boil the kale in boiling salted water for five minutes, drain and toss in butter. 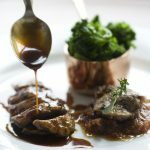 Remove the duck breasts and legs place on the buttered kale and serve with the chutney and crunchy roast potatoes.